The Japan Society for Cult Prevention and Recovery (JSCPR) demanded Monday that the state refrain from executing 12 former members of doomsday cult group Aum Shinrikyo, not including the group’s guru leader, amid growing speculation that recent transfers of seven of them could indicate their hanging was imminent. 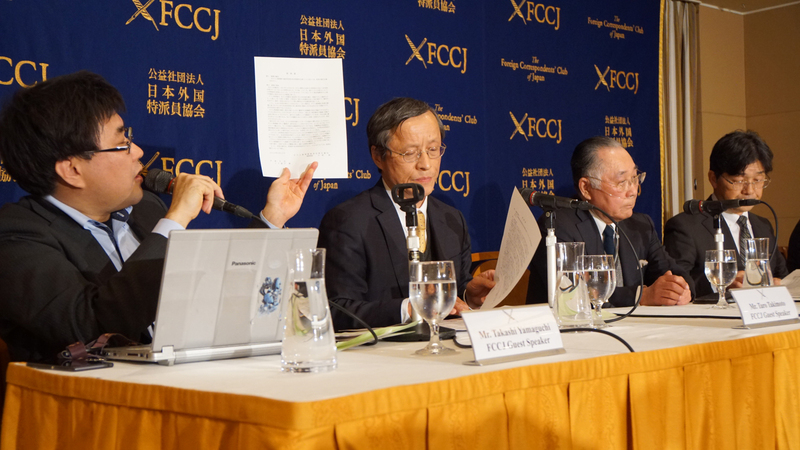 Taro Takimoto, a JSCPR board member who himself was attacked by Aum Shinrikyo members in 1994, said that the 12 include people who killed his lawyer friend Tsutsumi Sakamoto and also those who tried to kill him. “But by being involved in the executive counseling process for the cult members, as well as being a witness for the prosecution, I came to believe strongly that they should not be executed… Asahara was the brain and the others were merely the limbs,” said Takimoto, who has represented other victims of the Aum Shinrikyo crimes, during a news conference at the Foreign Correspondents’ Club of Japan in Tokyo. 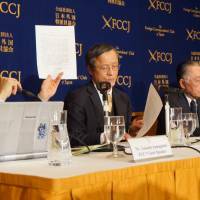 The JSCPR, a Kanagawa-based organization that researches preventive measures against cult groups and helps victims and former members return to regular lives, sent a petition to the Justice Ministry last Thursday requesting that the lives of the 12 be spared and their sentences commuted to life imprisonment. In the petition, the organization stressed that the 12 former Aum members carried out crimes after being brainwashed by Asahara. They were also deprived of sleep, malnourished, subject to strict restrictions on information, and sometimes heavily drugged. Such circumstances led them to strictly follow the guru, who taught them that killing others under his orders counted as relief for the individuals and a holy act. Last week the seven death row inmates were transferred from the Tokyo detention center to other places with execution facilities. Asahara is still being held at the Tokyo detention center. Kimiaki Nishida, professor at Rissho University and expert on mind control, has been involved in psychological evaluations of seven of the Aum defendants in detention centers. He said he had observed that many of the death row inmates had already left the cult group, and have expressed sorrow for what they did. “Knowing that their time is going to be quite limited, they have a strong will and desire to convey their knowledge about what happened within the Aum group,” said Nishida, who chairs the JSCPR. Under the current Japanese system Nishida has limited access to the death row inmates, he said, which makes it impossible for him to conduct thorough examinations that would help him to comprehend the mindset and motivations that triggered the cult to commit such severe crimes. “Their execution would be a terrible loss of a valuable resource for study in terms of academia, and would deny Japan a crucial role in contributing to global efforts to fight back against acts of terrorism triggered by various doomsday religious groups,” said Nishida. More than 22 years of criminal trials involving Aum members came to a close at the end of January as the Supreme Court upheld the life sentence of Katsuya Takahashi, convicted of murder in connection to several crimes including the 1995 sarin attack on the Tokyo subway system. A total of 13 former Aum members have been sentenced to death. Tuesday marks the 23rd anniversary of the sarin nerve attack on the Tokyo subway system that left 13 people dead and more than 6,300 others injured.